The scrambled text systems used to defeat automatic sign-ups are known as Captchas or “Completely Automated Public Turing test to tell Computers and Humans Apart”. Typically they feature a disfigured word or one overlaid with artefacts that make it difficult for anyone but a human to decipher. Many computer criminals have been trying to crack these systems to get at the net-based resources, such as e-mail accounts or blogging tools, they are designed to protect. “The free e-mail services, so far, have been extremely successful at using Captchas to recognise a human being or an automatic program,” said Raimund Genes, chief technology officer at Trend Micro. The novel system for getting round Captchas uses images of a woman called “melissa” who invites victims to decipher the scrambled text. Entering the correct text produces another image and another chunk of scrambled text. The weak link in security is almost always human. A Cuneiform clay tablet which for over 150 years defied attempts at interpretation has now been revealed to describe an asteroid impact which in 3123 BC hit Köfels, Austria, leaving in its wake a trail of destruction which may acccount for the biblical tale of Sodom and Gomorrah. The “Planisphere” tablet — inscribed around 700 BC — was unearthed by Henry Layard in the remains of the library of the Assyrian royal palace at Nineveh, close to modern-day Mosul, Iraq. It’s a copy of the night diary of a Sumerian astronomer containing drawings of constellations and “known constellation names”, but it required modern computer tech to finally unravel its exact meaning. Alan Bond, Managing Director of Reaction Engines Ltd and Mark Hempsell, Senior Lecturer in Astronautics at Bristol University, subjected the Planisphere to a programme which “can simulate trajectories and reconstruct the night sky thousands of years ago”. They discovered that it described “events in the sky before dawn on the 29 June 3123 BC”, with half of it noting “planet positions and cloud cover, the same as any other night”. The other half, however, records an object “large enough for its shape to be noted even though it is still in space” and tracks its trajectory relative to the stars, which “to an error better than one degree is consistent with an impact at Köfels”. That a large body had impacted at Köfels had long been suspected, the evidence being a giant landslide 500m thick and five kilometres in diameter. The site had no impact crater to back the theory, but the researchers now believe they have a plausible explanation for that. The Bristol Uni press release explains: “The observation suggests the asteroid is over a kilometre in diameter and the original orbit about the Sun was an Aten type, a class of asteroid that orbit close to the earth, that is resonant with the Earth’s orbit. This trajectory explains why there is no crater at Köfels. “The in coming angle was very low (six degrees) and means the asteroid clipped a mountain called Gamskogel above the town of Längenfeld, 11 kilometres from Köfels, and this caused the asteroid to explode before it reached its final impact point. Mark Hempsell, hinting at the possible fate of Sodom and Gomorrah, adds: “Another conclusion can be made from the trajectory. The back plume from the explosion (the mushroom cloud) would be bent over the Mediterranean Sea re-entering the atmosphere over the Levant, Sinai, and Northern Egypt. When military forces loyal to Gen. Augusto Pinochet staged a coup here in September 1973, they made a surprising discovery. Salvador Allende’s Socialist government had quietly embarked on a novel experiment to manage Chile’s economy using a clunky mainframe computer and a network of telex machines. The project, called Cybersyn, was the brainchild of A. Stafford Beer, a visionary Briton who employed his “cybernetic” concepts to help Mr. Allende find an alternative to the planned economies of Cuba and the Soviet Union. After the coup it became the subject of intense military scrutiny. In developing Cybersyn, Mr. Beer changed the lives of the bright young Chileans he worked with here. Some 35 years later, this little-known feature of Mr. Allende’s abortive Socialist transformation was remembered in an exhibit in a museum beneath La Moneda, the presidential palace. 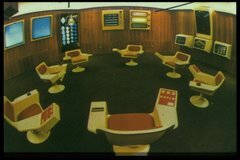 A Star Trek-like chair with controls in the armrests was a replica of those in a prototype operations room. Mr. Beer planned for the room to receive computer reports based on data flowing from telex machines connected to factories up and down this 2,700-mile-long country. Managers were to sit in seven of the contoured chairs and make critical decisions about the reports displayed on projection screens. While the operations room never became fully operational, Cybersyn gained stature within the Allende government for helping to outmaneuver striking workers in October 1972. That helped planners realize — as the pioneers of the modern-day Internet did — that the communications network was more important than computing power, which Chile did not have much of, anyway. A single I.B.M. 360/50 mainframe, which had less storage capacity than most flash drives today, processed the factories’ data, with a Burroughs 3500 later filling in. Cybersyn was born in July 1971 when Fernando Flores, then a 28-year-old government technocrat, sent a letter to Mr. Beer seeking his help in organizing Mr. Allende’s economy by applying cybernetic concepts. Mr. Beer was excited by the prospect of being able to test his ideas. He wanted to use the telex communications system — a network of teletypewriters — to gather data from factories on variables like daily output, energy use and labor “in real time,” and then use a computer to filter out the important pieces of economic information the government needed to make decisions. Mr. Beer set up teams of computer programmers in England and Chile, and began making regular trips to Santiago to direct the project. He was paid $500 a day while working in Chile, a sizable sum here at the time, said Raúl Espejo, who was Cybersyn’s operations director. One early challenge was how to build the communications network. Short of money, the team found 500 unused telex machines in a warehouse of the national telecommunications company. Cybersyn’s turning point came in October 1972, when a strike by truckers and retailers nearly paralyzed the economy. The interconnected telex machines, exchanging 2,000 messages a day, were a potent instrument, enabling the government to identify and organize alternative transportation resources that kept the economy moving. The strike dragged on for nearly a month. While it weakened Mr. Allende’s Popular Unity party, the government survived, and Cybersyn was praised for playing a major role. “From that point on the communications center became part of whatever was happening,” Mr. Espejo said. “Chile run by computer,” blared The British Observer on Jan. 7, 1973, as word of the experiment began leaking out. But as the country’s political and security situation worsened, Mr. Beer and his Chilean team realized that time was running out. Mr. Allende remained committed to Cybersyn to the end. On Sept. 8, 1973, he gave orders to move the operations room to the presidential palace. But three days later the military took over; Mr. Allende died that afternoon. There were 500 unused telex machines bought by the previous government, each was put into one factory. In the control center in Santiago, each day data coming from each factory (several numbers, such as raw material input, production output and number of absentees) were put into a computer, which made short-term predictions and necessary adjustments. There were four levels of control (firm, branch, sector, total), with algedonic feedback (if lower level of control didn’t remedy a problem in a certain interval, the higher level was notified). The results were discussed in the operations room and the top-level plan was made. The software for Cybersyn was called Cyberstride, and it used Bayesian filtering and Bayesian control. 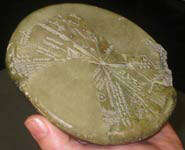 It was written by Chilean engineers in consultation with a team of 12 British programmers. The futuristic operations room was designed by a team lead by the interface designer Gui Bonsiepe. It was furnished with seven swivel chairs (considered the best for creativity) with buttons, which controlled several large screens that could project the data, and other panels with status information. The project is described in some detail in Beer’s book, Platform for Change (including such social innovations as bringing representatives of diverse ‘stakeholder’ groups into the control center). What is the alternative to these inherited systems of lagged quantized reporting on what has happened and lagged, quantized response to projected change? The answer from the mid-sixties onward has been and remains real time control. We have the technology to do it. This concept was fundamental to the plan we drew up for Chile in late 1971. We would abandon the hare-and-tortoise race to make relevant statistics overtake the lag in data, capture, and analysis, and implant a real-time nervous system in the economy instead. We would forget about the bureaucratic planning systems that talk in terms of months and years, norms and targets, and implant a continuously adaptive decision-taking, in which human foresight would be permanently stretched as far in any context as this real-time input of information could take it. Above all, we would use our cybernetic understanding of filtration to deploy computers properly as quasi-intelligent machines instead of using them as giant data banks of dead information. That use of computers taken on its own as it usually is, in my opinion, represents the biggest waste of a magnificent invention that mankind has ever perpetrated. It is like seeking out the greatest human intellects of’ the day, asking them to memorise the telephone book, and then telling them to man ‘Directory Enquiries’ at the telephone exchange. GM relies heavily on parts from American Axle, buying about $2.6 billion of them, including axles and key components in most of its trucks and some passenger cars. Currently, 28 GM plants are either idled completely or have cut production thanks to the strike, which started on Feb. 26. At least one more — a factory building the Cadillac DTS and Buick Lucerne sedans, just outside Detroit’s city limits — will go down next week. As of last week, GM lost 80,000 vehicles’ worth of production as a result of the strike, says one company insider. Because carmakers book revenue as soon as a vehicle leaves the assembly line and heads to a dealership, the strike is hitting GM’s top line. At least one analyst has dropped his first-quarter profit expectations as a result. Deutsche Bank (DB) analyst Rod Lache issued a report earlier this week boosting his forecast for GM’s quarterly loss from about $600 million to almost $1.4 billion. Lache says the strike is costing GM about $890 million a month. The only mitigating factor is that the truck production being lost probably would have been cut anyway, because sales are falling. So Lache didn’t cut his earnings expectations for the year. But a two-month strike will start to have more permanent effects, he says. Because carmakers book revenue as soon as a vehicle leaves the assembly line and heads to a dealership, the strike is hitting GM’s top line. The only mitigating factor is that the truck production being lost probably would have been cut anyway, because sales are falling. So Lache didn’t cut his earnings expectations for the year. Goldratt (of Theory of Constraints fame) would have a field day with this. The makers mistake shipping a car with selling a car. The dealer does not assume the risk of selling or not selling the car — the maker does — so all those cars on the lot are just thinly disguised finished-goods inventory. They’re not true throughput. On a lighter note, the strike probably isn’t hurting throughput, because axles are not a meaningful constraint on sales right now — demand is — and GM needed to cut production anyway. 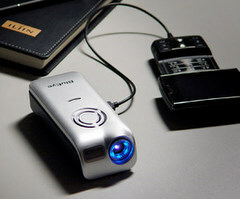 Pint-size digital projectors are in the works. These devices, when plugged into cellphones and portable media players, will let consumers beam video content from their hand-held devices to the closest smooth surface — entertaining themselves, annoying their neighbors and possibly contributing to a new warning sign: No Projectors in This Area. The microprojectors, still in prototype, use light-emitting diodes, lasers or a combination of the two to cast a display of up to 50 or 60 inches, or perhaps even wider, in darkened spaces and 7 to 20 inches or so when there is ambient light. His mother suffered dark depressions and tried to dominate his life. His sister and daughter had severe mental problems, his father and wife died young and a beloved uncle committed suicide in his arms. So what did Peter Mark Roget, the creator of Roget’s Thesaurus, do to handle all the pain, grief, sorrow, affliction, woe, bitterness, unhappiness and misery in a life that lasted over 90 years? And according to a new biography, making his lists saved Roget’s life and by keeping him from succumbing to the depression and misery of those around him. “As a boy he stumbled upon a remarkable discovery — that compiling lists of words could provide solace, no matter what misfortunes may befall him,” says Joshua Kendall author of the just published The Man Who Made Lists (Putnam, $25.95), a study of Roget’s life (1779 to 1869) based on diaries, letters and even an autobiography composed of lists. Kendall, in a recent interview, said Roget cared more for words than people and that making lists on the scale that he did was obsessive-compulsive behavior that helped him fend off the demons that terrorized his distinguished British family. Madness was a regular guest in Roget’s home, Kendall said. One of his grandmothers either had schizophrenia or severe depression, Roget’s mother lapsed into paranoia, often accusing the servants of plotting against her. Both his sister and his daughter suffered depression and mental problems. Then there was the case of Roget’s uncle, British member of Parliament Sir Samuel Romilly, known for his opposition to the slave trade and for his support of civil liberties. He slit his own throat while Roget tried to get the razor out of his hands. Paul Graham notes that “the web is turning writing into a conversation” and discusses how to disagree — which leads him to produce a disagreement hierarchy, from DH0 – Name-calling through DH6 – Refuting the Central Point. Rooftops all over Israel look strikingly similar: More than 1 million households in the nation of 7.1 million people have solar panels that produce hot water — a relatively simple technology that gained popularity after the 1973 Arab-Israeli war, when oil prices shot up sharply. As of the early 1990s, all new residential buildings were required by the government to install solar water-heating systems. Yet despite Israel’s sunny climate and early lead in solar heating, it has been slow in adopting more sophisticated solar technologies that produce electricity from sunlight. Now, with oil hovering near $100 a barrel, a local startup hopes to build on the country’s early embrace of sun power to carve out a new clean-energy business. Zenith bought the rights to the solar technology from Ben-Gurion University and Germany’s Fraunhofer Institute. A joint Israeli-German research team from the two organizations designed a working prototype, which consists of a 10-sq.-meter (107.6-sq.-ft.) dish lined with curved mirrors made from composite materials. The mirrors focus the sun’s radiation onto a 100-sq.-centimeter (15.5-sq.-in.) “generator” that converts light to electricity. The generator also gives off intense heat, which is captured via a water-cooling system for residential or industry hot-water uses. One of the biggest advantages of Zenith Solar’s approach, especially in today’s market, is its limited use of polysilicon. Skyrocketing global demand for traditional photovoltaic panels has led to a worldwide shortage of the material and lifted prices tenfold in the past four years. Propelled by mounting anxieties over soaring oil costs and climate change, biofuels have become the vanguard of the green-tech revolution, the trendy way for politicians and corporations to show they’re serious about finding alternative sources of energy and in the process slowing global warming. The U.S. quintupled its production of ethanol — ethyl alcohol, a fuel distilled from plant matter — in the past decade, and Washington has just mandated another fivefold increase in renewable fuels over the next decade. Europe has similarly aggressive biofuel mandates and subsidies, and Brazil’s filling stations no longer even offer plain gasoline. 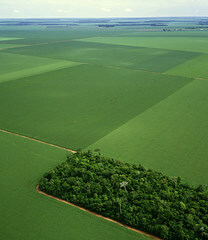 Worldwide investment in biofuels rose from $5 billion in 1995 to $38 billion in 2005 and is expected to top $100 billion by 2010, thanks to investors like Richard Branson and George Soros, GE and BP, Ford and Shell, Cargill and the Carlyle Group. Renewable fuels has become one of those motherhood-and-apple-pie catchphrases, as unobjectionable as the troops or the middle class. The facility, located in Rio Hondo Texas, will produce an estimated 4.4 million gallons of algal oil and 110 million lbs. of biomass per year off a series of saltwater ponds spanning 1,100 acres. Twenty of those acres will be reserved for the experimental production of a renewable JP8 jet-fuel. Microalgae have garnered considerable attention, since acre-by-acre microalgae can produce 30-100 times the oil yield of soybeans on marginal land and in brackish water. The biomass left-over from oil-pressing can either be fed to cattle as a protein supplement, or fermented into ethanol. In most other areas of the economy, this combination of plummeting sales and stable prices would not happen. When demand for airline tickets drops, the airlines cut their prices until they have sold their seats. When stocks become less appealing, share prices fall, sometimes sharply. People are not dispassionate investors, especially when it comes to their homes, and are obsessed with at least breaking even. The ability to utilize solar thermal technology after the sun sets is made possible by a storage system that is up to 93% efficient, according to Ausra’s executive vice president John O’Donnell. The maximum amount of electricity demand on the power grid occurs during weekday afternoons and evenings in the summer months in most regions of the United States. This is largely caused by air conditioning loads, which gobble up electricity. Solar energy availability however starts to drop in the late afternoon, before peak load has started to wane. Because the electric grid needs to be able to handle these peak loads, capacity is built to specifically handle these loads. Natural gas typically comes to the rescue to produce this electricity. Although these plants are expensive to operate, they are cheaper to construct than most of the alternatives. They are fast to start, producing power in 30 minutes or less. Additional power plants are constructed just to generate electricity for the times when it is needed most. This causes peak electricity to be more expensive. A kilowatt hour of electricity at 3 pm and 3 am does not come with the same price tag to the utility company. Naturally, peak electricity should cost the consumer much, much more than non-peak electricity, but it typically doesn’t. Being small and successful, frankly, is boring to many people. Consider the Cold War spy movie “The Third Man.” In a famous scene, the shady character played by Orson Welles observes, “In Italy, for 30 years under the Borgias, they had warfare, terror, murder, bloodshed—they produced Michelangelo, Leonardo da Vinci, and the Renaissance. In Switzerland, they had brotherly love; they had 500 years of democracy and peace, and what did that produce? The cuckoo clock.” To add insult to slur, the cuckoo clock is actually from Germany. Indeed, each canton (the equivalent of a U.S. state) is allowed to set its own tax policy, and many sign individual contracts with high-income foreigners specifying what their tax rate will be should they settle in the country. This brings the country both glamorous residents, such as British actor Roger Moore, along with controversial personalities, such as financier Marc Rich. An international commodities trader, he fled the United States in 1983 to live in Switzerland while being prosecuted on charges of tax evasion and making illicit oil deals with Iran during the hostage crisis. He received a pardon from President Bill Clinton in 2001. Corporate taxes are levied at both the federal and cantonal level. The federal tax rate is the same throughout Switzerland, at 8.5 percent for corporate income, with cantons adding their own modest corporate tax rate on top of that. Cantonal income tax rates also vary. This has resulted in a form of tax competition within the country. In 2004, the canton of Schaffhausen lowered taxes to induce high-income earners to move to it. Other cantons have followed. The latest is the canton of Obwalden, whose citizens voted nine to one last December to impose a 1.8 percent income tax rate. The first $8,700 of income will be exempt, in order to ensure a slight, progressive tilt to the system. 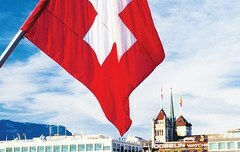 The Swiss finance minister, Hans-Rudolf Merz, has publicly welcomed the flurry of tax competition. In a recent speech, he said that tax competition protects the citizen from the “excessive tax appetite” of governments and that it was one of the most important tools for budgetary discipline. Finally, he stressed that tax competition is a valuable “discovery procedure” leading to new and innovative taxation models. On a federal level, almost everything had been learned from watching the cantons experiment. After 15 years and a half-billion dollars in development, the Army officially cancelled the Land Warrior program, and its collection of electronic maps, GPS beacons, digital radios, and next-gen rifle scopes for infantrymen. All kinds of configurations of the wearable electronics were tried. But the gear always wound up being too bulky to justify the seemingly-modest help it provided frontline soldiers, the Army decided. 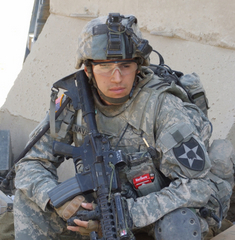 Money had already been spent to equip a single Iraq-bound battalion with the gear, however. So, despite some pretty horrendous reviews from the troops, the Army let the 4/9th Infantry take Land Warrior with them to war. And then, something rather odd and unexpected happened. The 4/9 — known since the early 1900′s as the “Manchus,” for their fighting in China — stripped Land Warrior down, made the gear more functional, and discovered the equipment could actually be pretty useful in combat. By consolidating parts, a 16-pound ensemble was whittled down to a little more than 10. The digital gun scope was abandoned — too cumbersome and too slow for urban fights. And not every soldier in the 4/9 was ordered to lug around Land Warrior. Only team leaders and above were equipped. The Manchus suggested new features to Land Warrior’s software, too. Like “digital chem lights,” which let buildings, escape routes, and enemies be marked in green on every soldier’s electronic map. During air assaults on Baquba, for instance, troops were regularly dropped a quarter or half-kilometer from their original objective; the chem lights allowed them to converge on the spot where they were supposed to go. In the middle of one mission, a trail of green lights was used to mark a new objective — and show the easiest way to get to the place.